The distinctive shape of these plant supports will be a real focal point in your garden, adding form and structure to your borders. Traditionally used for peonies, these strong plant supports are perfect for many types of flowers and plants stopping plant stems snapping in strong winds or flopping under their own weight. 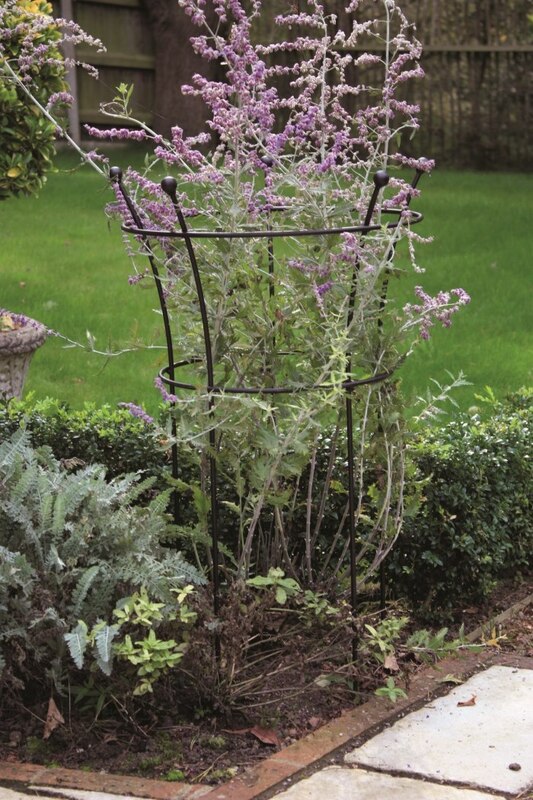 Exclusively designed and manufactured by Harrod Horticultural in the UK, these attractive plant supports use quality 8mm gauge steel rods making them very strong and durable which is why we offer a 5 YEAR STRUCTURAL GUARANTEE. The supports are available in a classic matt black powder coated finish or untreated steel which quickly develops an even rust coating for a long lasting weatherproof finish.